Truly…every single meal around here is one of the best moments of my dog’s life. 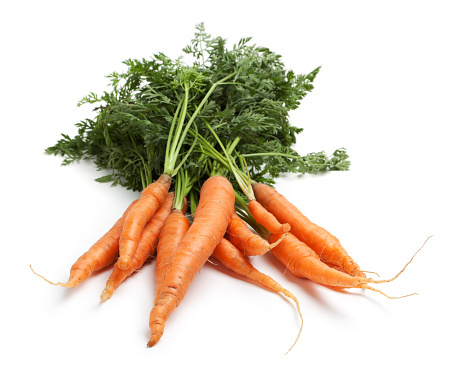 So even though my dogs may never get bored of their food, I do, and want to feed them a little “something” special that is not only a treat for them but offers several health benefits as well. I’m also kinda (ok, really) picky on what we feed our dogs. They don’t just get any table scraps. 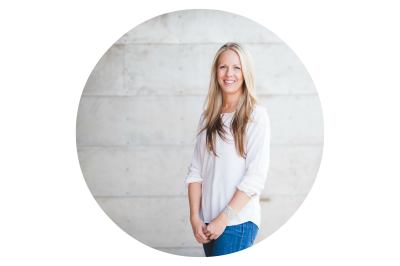 Turmeric is one of the most thoroughly researched plants in existence today as a powerful antioxidant. 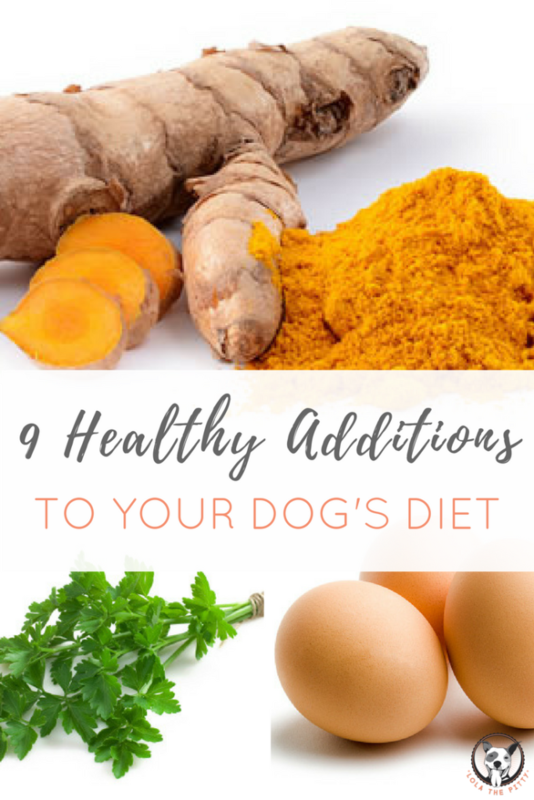 Adding turmeric to your dog’s diet has many benefits, including its anti-inflammatory properties. Tip: add a quarter of a teaspoon per ten pounds of your pet’s body weight of ground turmeric to their food per day (or ~1 1/4 tsp for a 50lb dog). Who doesn’t love sweet potatoes? My two dogs (and I) are in love with them. 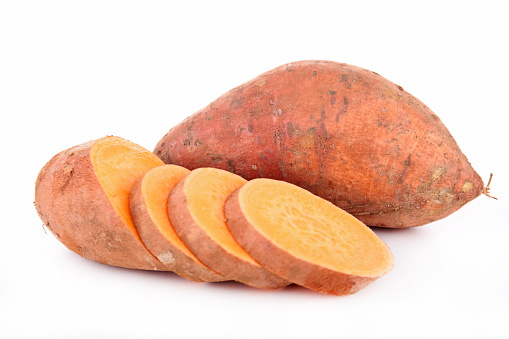 Sweet potatoes are a great addition to your dog’s diet for digestive health (high in dietary fiber) plus they contain vitamin C, vitamin B6, and manganese. Oh, and they’re low in fat. A win across the board. 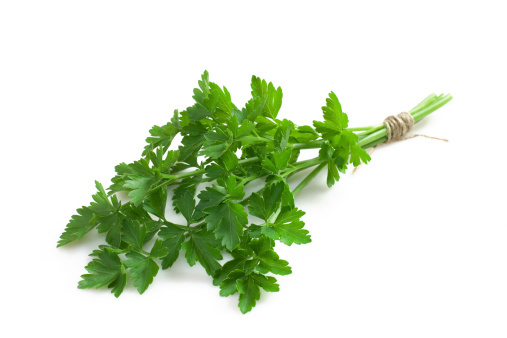 I buy a bundle of fresh, organic parsley at the grocery store for $0.79 on the regular. Fresh parsley helps with bad dog breath (thankfully), and is rich in protein, fiber, minerals (calcium, iron, magnesium, potassium, and phosphorus) and vitamins A, C, B1, B2, and K.
Kefir contains several major strains of friendly bacteria not commonly found in yogurt (Lactobacillus Caucasus, Leuconostoc, Acetobacter species, and Streptococcus species). 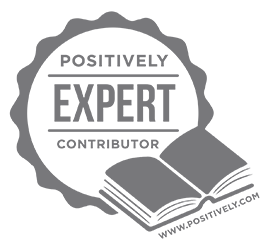 It also contains beneficial yeasts, such as Saccharomyces kefir and Torula kefir, which control and eliminate destructive pathogenic yeasts in the body. So basically it’s an anti-fungal, anti-biotic, a probiotic and kills yeast. 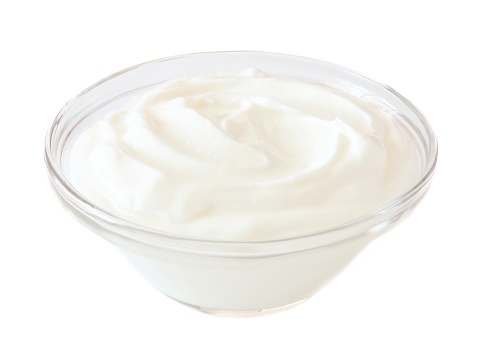 When shopping for greek yogurt, make sure you get the plain flavor with no added sugars. Shell and all, just plop a raw egg on top of your dog’s food and watch them gobble it up! Lola and Rio go nuts over them. I’m not sure I’ve met a dog that doesn’t enjoy eggs. Just don’t be like Lola and insist on carrying it over to any carpeted surface to enjoy (I now drop her egg in the bowl so it cracks open). 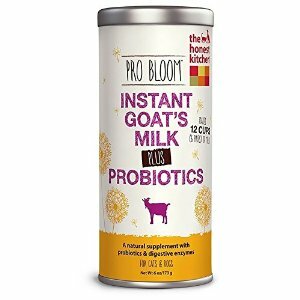 The only time goat milk is in this house is for the dogs which is why I love, love, love The Healthy Kitchen’s powdered goat milk (Pro Bloom). I mix up 1 packet (makes 1 cup) and feed it to them over two meals. Then simply pour it over their kibble, let it soak for a few minutes and dig in! Yum, yum. This stuff seriously stinks up the kitchen, but (like 99% of all foods) Lola and Rio go nuts over it. Fish oil provides omega-3 fats which helps with a healthy coat and nails and aids in joint relief. To make bone broth for your dog: Fill a slow-cooker with raw bones (use joint bones which have cartilage, we love beef marrow bones), add enough water to cover the bones, squeeze the juice from from 1 lemon (helps extract the minerals from the bones), and cook on low for 24 hours. Remove the bones and store remaining broth in the fridge or freezer. And this is just the beginning…what other healthy foods do you add to your dog’s diet? Coconut oil, pumpkin? I just stumbled across your how to cut nails. I have four little dogs, and now a cat, that we just rescued. None of our babies like getting their nails cut, and when my wife tries they always bleed. Good to know how to shrink the quick. And now new natural foods too. 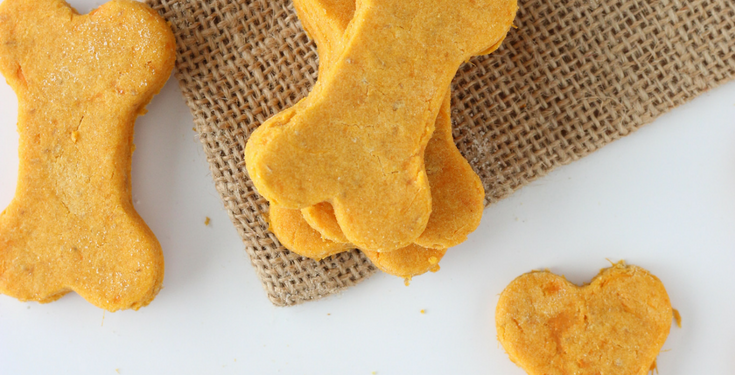 I made the tumeric, peanut butter dog treats for my 11 year old English bully…and he would not try them. However, he is very picky …more so lately. Don’t think he is feeling so well.they sure do look pretty though. 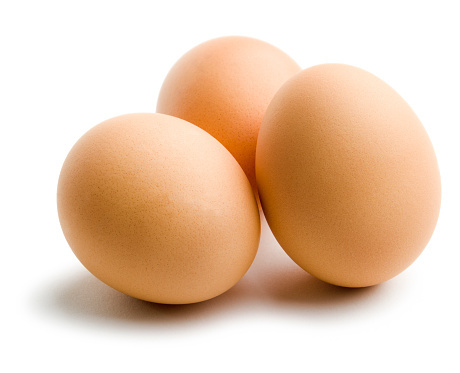 I have always given my dogs raw eggs, but recently have seen comments that raw egg whites are really bad for them. Don’t know what to think. What say you?